You do NOT want to miss this opportunity! 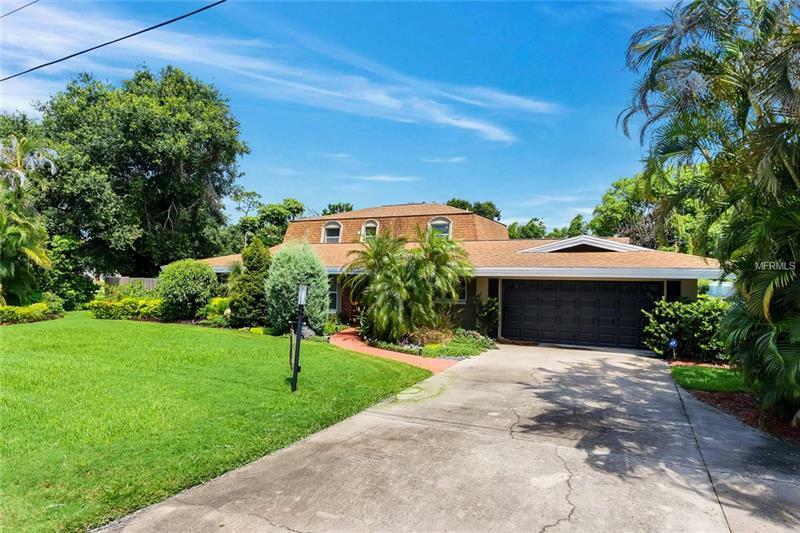 Stunning 4 bedroom, 3 bathroom pool home offering an open floor plan, and renovated in 2015. Spectacular location in the Lake Conway Estates community of Belle Isle. Prepare to be impressed as you enter the home into a spacious formal living/dining room combo. You are sure to notice the rich wood floors and crown molding featured throughout. Make your way to the heart of the home to discover a fabulous kitchen that is certain to be a home-chef's dream showcasing beautiful stone countertops, solid wood cabinetry, stainless steel appliances, and a massive island with breakfast bar. The family room and casual dining space boasts a beautiful gas, brick fireplace creating a cozy, intimate gathering space. The screened-in patio/pool area provides a perfect back yard oasis with a saltwater pool, an abundance of space for outdoor furniture, a grill and more; ideal for entertaining or simply lounging in the gorgeous Florida weather. The Master Suite includes tons of room for transforming your in-home retreat with a spa-like ensuite featuring a dual-sink vanity, large jetted tub and a separate glass shower. A 2nd Master Suite allows for giving guests a VIP treatment. Every square-foot of this home presents desirable features and style down to the finished laundry room, and generously sized secondary bedrooms perfect for family, guests, a home office, or just about anything else to fit your needs. Plenty of nearby shopping and dining options plus access to major highways.